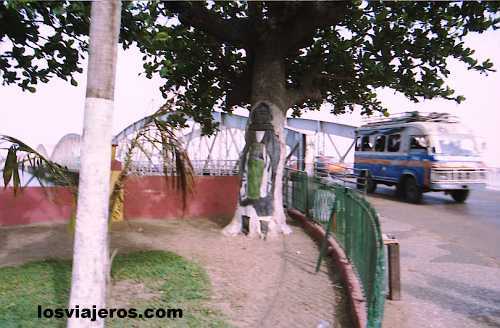 Puente de Faidherbe sobre el rio Senegal - St. Louis - Senegal: Este puente, orgullo de la ciudad, une la Isla de St Louis con el continente. Bridge of Faidherbe over Senegal river - St Louis - Senegal: The bridge of Faidherbe join St Louis Island with the continent. Hotel Oasis - St. Louis - Senegal Hotel Oasis- St Louis - Senegal "Index"